Stay at our hotel close to the Dali Museum in St. Petersburg to mix luxury, comfort, and culture in one perfect waterfront getaway. The Salvador Dali Museum is St. Petersburg’s #1 attraction according to TripAdvisor reviews. 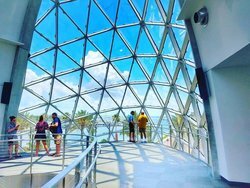 Even if you’re not an art expert or particularly interested in the works of the Spanish surrealist, the museum’s beautiful architecture, light-filled interiors, and gulf-side location are a hit with visitors of all ages. The museum brings together over two thousand sketches, paintings, and more. Offering free guided tours and free audio guides for the permanent collection, the museum is truly dedicated to bringing Dali’s works to life. The museum also puts on a rotating selection of exhibits that bring a modern perspective to Dali’s surreal and strange interests and art. Surrounding the beautiful museum’s fittingly strange and surreal architecture is a shop and garden that are also well worth a visit! The avant-gardens behind the museum faces Tampa Bay’s waterfront and set Dali-like landscaping and features with plants native to the St. Petersburg area. Stop by the Wish Tree at the center of the garden to whisper a wish into its branches. The museum’s shop sells a variety of items that will let you take home your own Dali-inspired memento, with everything in the shop carefully selected to reflect the museum’s art and collection. Pick up hand-crafted jewelry that would fit right into a surreal painting, kid-friendly games, and books for your little artist, or a print of Dali’s work to hang in your own home. From our hotel to the Dali Museum and all of downtown St. Petersburg, it is a quick 20 mile drive. 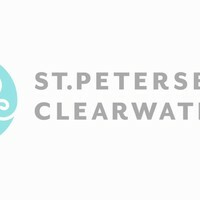 Depending on your route, the journey can either take you along coastal beach towns, or straight through the Clearwater-St. Petersburg area. Stay at Edge Hotel in Clearwater to experience the best of waterfront luxury, with two restaurants, two pools, and twice as much fun as anywhere else in the area.